ST. PETERSBURG, January 1. /TASS/. 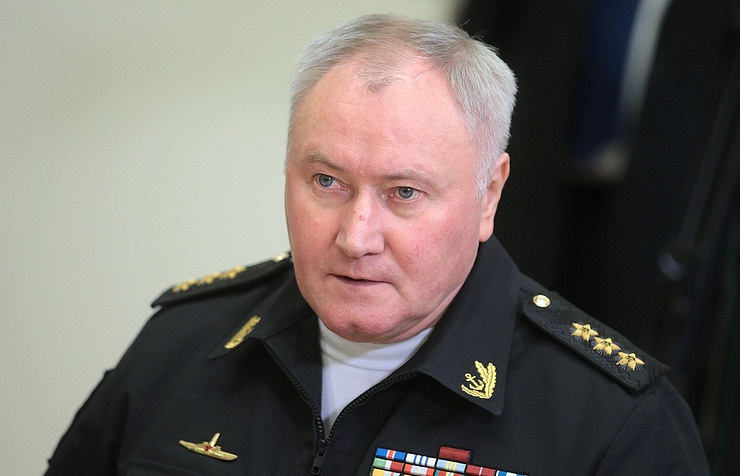 Forming strategic non-nuclear deterrence groups will become the Russian Navy’s priority, the Navy’s Commander-in-Chief Admiral Vladimir Korolyov said. "The Navy General Command will particularly focus on forming strategic non-nuclear deterrence groups that will include vessels armed with long-range precision weapons, as well as on improving the system of naval bases and ensuring balanced supply of weapons and munitions," Korolyov said. According to him, in the near future, the Navy General Command will take steps aimed at further developing the Navy in compliance with the 2018-2027 state weapons program. 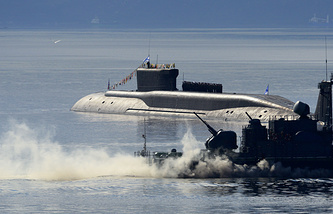 "At the current stage, it includes maintaining the combat capabilities of the naval strategic nuclear forces through building Borei-A and Borei-B-class ballistic missile submarines, as well as through developing the potential of the general-purpose naval forces, which requires building green-water and blue-water vessels, modernizing ships suitable for modernization, supplying modern aerial vehicles and coastal missile systems to coastal defense units," Korolyov elaborated. In November 2017, Russian Defense Minister Army General Sergei Shoigu said that the country’s non-nuclear forces would become capable of completely ensuring national security by 2020.